How do I know it’s the best option for my roof? Whether you choose natural slate or another roof covering material, it’s vital to answer these questions before you make a decision. 1. What Will It Look Like on Your Roof? Your roof can make or break the appearance of your home. A great roof is what takes a building from a run-of-the-mill house to a stunning home. Slate is nature’s crowning glory for your home. There is no substitute for natural slate, and with a range of unique colours, sizes and styles, you’ll find the perfect slate for you. Click here to see the full range of slates available to you. We know that it is difficult to fully appreciate the quality and nuances of natural slate without seeing it in your own hands so we offer free samples to help you make the right choice for your project. Request a free sample here and we’ll send you our homeowner’s sample pack. Choosing a material for your roof is a big decision and you need to be sure you’ll be happy with how it looks – check out our previous projects of other homeowners who have used SSQ natural slate to give them a reason to smile every time they pull into their driveway. 2. How Long Will The Roof Last? Choose slate from our premium range and your SSQ natural slate roof is guaranteed to outlive the building. 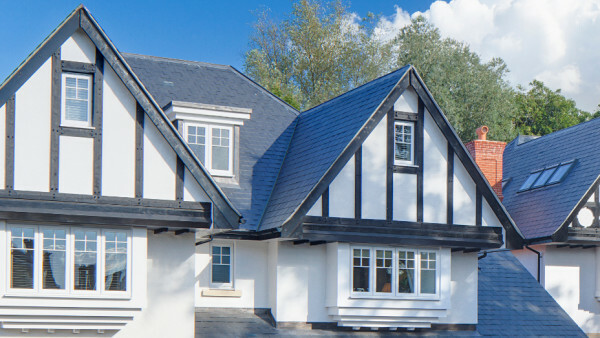 When it comes to choosing what to put on your roof there should be no risk involved – that’s why we guarantee that your SSQ slate roof for 100 years. With the average lifetime of a building being considerably less than that, your roof is guaranteed by SSQ to outlive the building. Other roof coverings will need to be replaced 2 or 3 or more times in the same time period. To see how natural slate compares to these other materials, check out our roofing materials comparison page here. Natural slate is arguably the best value for money roof covering option out there. 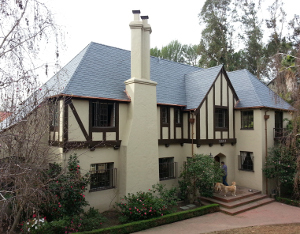 The quality and longevity of a natural slate roof means that it is much lower cost than most people think. Across our range we offer slate of varying quality, size and cost. To find out exactly how much your slate roof will cost, just give us the details of your roof here and we’ll send you a quick, free, no obligation quote. There’s no need to guess, get a tailored quote today. 4. 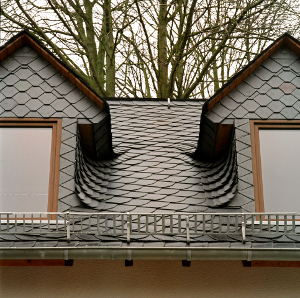 How Do You Know If Slate Is The Best Option For Your Roof? The decision of what to put on your roof is an important one so it’s only natural that you want to be sure that you’re choosing the best option for you. That’s why we make our roofing specialists available to you to discuss your project and answer any questions you have about deciding on the best roof covering. If you do decide to use natural slate, we’ll continue to support you every step of the way. We can recommend specialist contractors, and give you guarantees on both the slate and the work carried out so that you can be certain that you’ve got a roof that looks great and will last. We’re passionate about natural slate roofs, so it’s our mission to make the whole process as easy as possible for you. Contact our roofing specialists with your questions here and get an answer today.